Jab Harry Met Sejal left many disappointed. Jab Harry Met Sejal is so bad that you can't even blame nepotism for it. 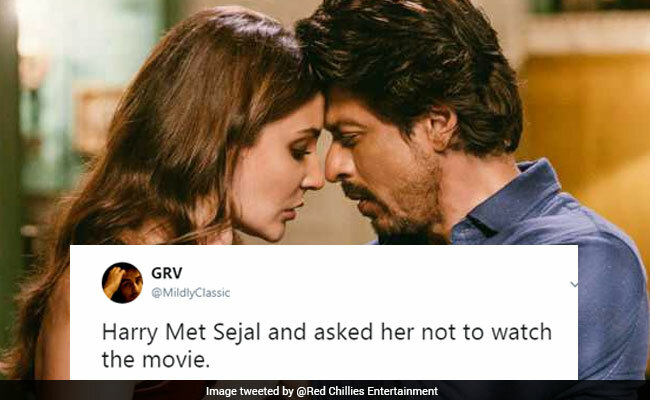 Harry Met Sejal and asked her not to watch the movie. Me: Kya majburi rahi hogi. Tbh, harry should never have met sejal. And amidst all these disappointed reviewers was one man so traumatised by the movie that he actually tweeted External Affairs Minister Sushma Swaraj, asking to be rescued from the theatre. Have you watched Jab Harry Met Sejal yet? Do let us know how you liked the movie using the comments section below.